I, like many others, have many fond memories of sitting in Church every Sunday listening to the profound sermon that was being preached from the pulpit. Week after week as a young child I would spend Sunday afternoon sitting on a semi-comfortable church pew with my family, eagerly waiting for the sermon to end so I could go outside and play. 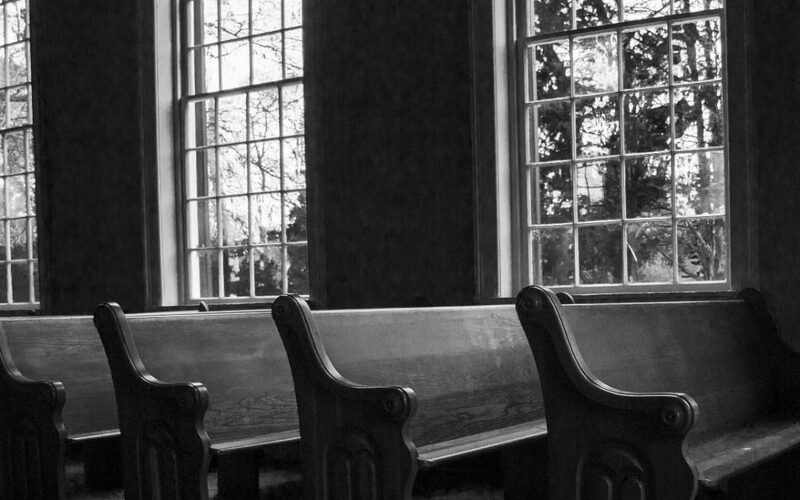 As I grew older, I began to realize that those church benches where I spent every Sunday afternoon as far back as I can remember were more than just a seat to sit on during the service. Those church pews would eventually come to mean something so much more. Throughout my years, many things have changed, but one thing has always remained constant, those church pews I sat on every Sunday. Preachers have come and gone, chapels have changed, congregations have changed, I’ve changed, but the one thing that has not changed, are the pews. Yea sure, they might have replaced the old worn out, thread bare covers with new cushions. New varnish has been applied over the years, but the pews remain. A constant reminder of days long gone of going to church with my family. Serving as a constant throughout my life, I’ve come to look forward to Sunday sermons and the old familiar feeling of sitting on a church pew. For me, church benches are more than just a seat for Sunday sermon, they serve as a reminder of time spent with family. Time where I sat as quietly as a young child could, swinging my feet from the edge of my seat on the pew. It’s almost as though the church pew has become a part of me; a constant fixture throughout my life, that no matter what congregation, or pew I am sitting on, its where I am supposed to be on a Sunday afternoon. Now that I am older with a family of my own, I am excited to share with my own children the joy of sitting on a church pew every Sunday and feeling like I’ve just come home! Through the art and talent of Born Again Pews, this constant familiar feeling that church furniture can instill in a person continues on. Everyone who enjoys the fruits of Born Again Pews labors, is reminded of their own childhood and going to church as a family—they too can find peace through the ever-constant church furniture.